These lesions remain somewhat mysterious, and researchers have published contradictory findings about many issues related to bone bruises, including how long it takes them to heal and to what extent they put cartilage at risk and contribute to subsequent OA. Seeing the bruises on magnetic resonance imaging (MRI) is one thing, Marx said; understanding their significance is something else. Jonathan Chang, MD, clinical associate professor of orthopedics at the University of Southern California in Los Angeles, noted that bone bruises weren’t even identified until the advent of MRI in the 1980s and 1990s. With more serious bruises, however, trouble can arise. Advanced MRI analysis has shed further light on the injury and its manifestations. 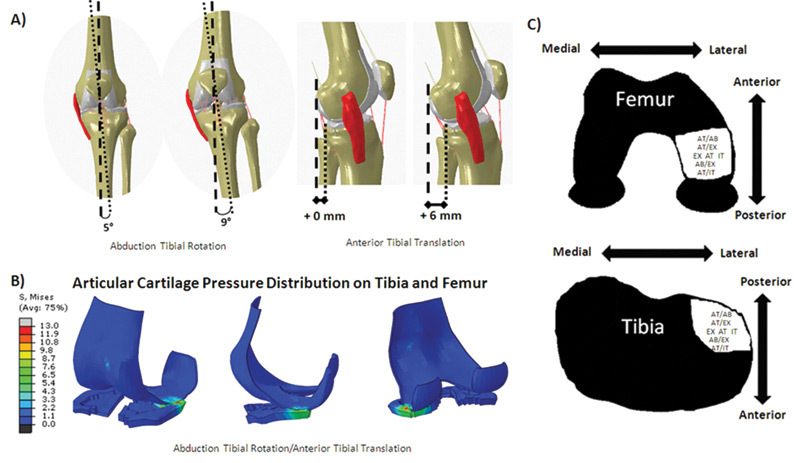 Despite its name, the tibial plateau is more subject to shear because its shape is actually convex. Chang emphasized the importance of this. “The convexity of the plateau concentrates a lot more pressure in a small area, and that appears to be the reason we get more bone bruises on the lateral femoral condyle,” he said. Potter explained that in a recent paper,10 she and her colleagues had found surprisingly high rates of chondral damage after ACL injury. “In our study, we determined that a hundred percent of patients sustained some condyle damage, and that their risk of developing osteoarthritis was substantially elevated over time,” she said. The study showed, specifically, that in the lateral tibial plateau, the size of the bone marrow edema pattern at baseline was significantly associated with increased cartilage loss at one, two, and three years; in the lateral femoral condyle, there was a similar association at one and two years but not at year three. Regardless of surgical interventions, however, by seven to 11 years after injury, the risk of cartilage loss in the lateral femoral condyle was 50 times that of baseline—as well as 30 times baseline in the patella and 19 times baseline in the medial femoral condyle. For example, Potter and her colleagues found that, in addition to the two most common acute injury sites—the lateral tibial plateau, followed by the lateral femoral condyle—where the risk of cartilage loss doubled from year one, the same rate of loss also occurred in the medial femoral condyle. 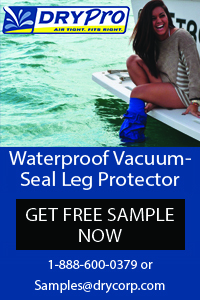 Moreover, at the patella, the risk tripled. “The rate of progression was high for the medial compartment as well as the patellofemoral joint, suggesting an accelerated progression in the ‘natural’ rate of chondral loss after ACL injury,” the authors wrote. Other scientists have evaluated the effects of bone bruises on surrounding tissue and reached conclusions similar to those of Potter and her colleagues. In one study, researchers assessed biopsy samples of geographic lesions in the subchondral bone and found death or degeneration of chondrocytes, proteoglycan loss, and necrosis of osteocytes.12 In another, researchers used histolic and immunostaining techniques to evaluate the status of articular cartilage and subchondral bone overlying bone bruises in patients with ACL tears; they reported a loss of the proteoglycan component in the matrix, as well as an increased presence of the degradation fragments of cartilage oligomeric matrix protein (COMP) in injured knees.11 Because COMP levels in synovial fluid are a marker for cartilage turnover in disease, this suggests significant injury and may indicate preclinical osteoarthritic lesions. “That medial aspect was an area in which they didn’t [often] see the bone bruise,” said Potter, referring to that study. But because the medial tibiofemoral compartment is where later OA often occurs, the findings bolster the view that ACL injury, and the associated bone bruises, affect the knee’s homeostasis and ability to repair itself. MRI analysis doesn’t tell you everything you need to know about the patient’s status, however, even if you’re an expert like Potter. Some researchers and clinicians are already seeking ways to translate such knowledge into practical applications. The authors of a 2006 review noted earlier3 reached a similar conclusion, writing, “It may be reasonable to delay return to full weight bearing when we find a large and severe bone bruise, to prevent further collapse of subchondral bone and further aggravation of articular cartilage injury.” The researchers also noted, however, that there is no hard evidence yet to support this contention, rational as it may seem. In a presentation at the 2012 annual meeting of the National Association of Athletic Trainers (NATA) in St. Louis, Johanna Hoch, PhD, ATC, and her colleagues used the Costa-Paz grading system to describe the location and frequency of severe bone bruises found on MRI in 28 patients with acute knee ligament injuries.14 Each bruise was documented as in the lateral or medial femoral condyles (LFC or MFC, respectively), or on the lateral or medial tibial plateaus (LTP or MTP). Of the 60 bone bruises identified, 37% occurred on the LTP and 30% were on the LFC; the remaining 33% distributed between the MFC and MTP. Seven (12%) of the bruises were grade 1; 40 (68%) were grade 2; and 12 (20%) were grade 3. Most grade 1 and 2 lesions were located on the LTP (43% and 38%, respectively); however, of the grade 3 lesions, more than two-thirds (67%) were found on the LFC, with the other 33% on the LTP. 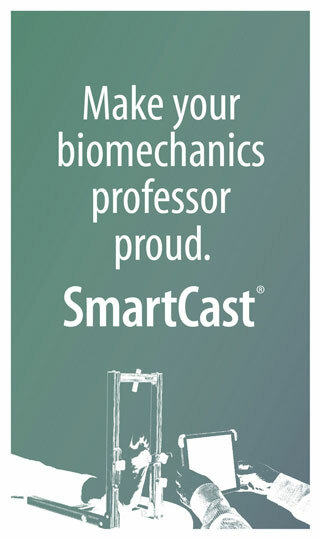 “We were seeing studies that documented bone bruises and how long it took them to resolve, but nobody was classifying them by size or severity,” said Hoch, who is an assistant adjunct and clinical education coordinator at the School of Physical Therapy and Athletic Training at Old Dominion University in Norfolk, VA, (the paper was written while she was a doctoral candidate at the University of Kentucky in Lexington). Hoch’s larger point isn’t just about predictive maps; she hopes her team’s findings may lead to changes in therapeutic regimens. The investigators created a computer model to analyze tibial and femoral articular cartilage pressure distributions during normal landing and injury simulations, and used the model to identify the biomechanical variables that led to peak articular cartilage pressures in the posterior-lateral tibia and mediolateral femur—distributions similar to bone bruise patterns associated with ACL injury (Figure 1). Then they took prospective biomechanical data on 399 female athletes, nine of whom ultimately suffered ACL injuries, and used the computer model to simulate ACL injury mechanisms for each group and determine the corresponding articular cartilage pressure distributions (Figure 2). The goal, she told LER, is to make the modeling as clinically relevant as possible, which requires a paradigm shift. Quatman noted that athletes younger than 25 years who injure an ACL have a significant chance of re-tearing it when they return to high-risk sports after surgical reconstruction. If clinicians could look at the MRI from the patient’s acute injury, plug that information into a computer model, then get an accurate description of the forces that led to the bone bruise, they would theoretically be able to design a custom neuromuscular workout program to prevent reinjury. The team reported in the AJSM article that the lateral tibial and femoral bone bruises associated with acute ACL injury may occur due to lateral joint compression, and that the more posterior location of the lesions on the tibial plateau, relative to the femur, may indicate that the tibia shifts anteriorly or rotates internally relative to the femur during the injury event. The findings support the notion that a valgus collapse injury mechanism results from tibial abduction combined with anterior tibial translation or either external or internal tibial rotation. 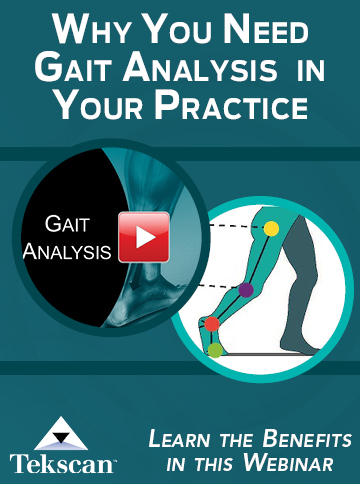 As a clinician, Quatman views such complex computer modeling as an important tool. As such research continues, and investigators develop a more sophisticated understanding of the association between bone bruises, ligamentous reinjury, and the risk of subsequent osteoarthritis, clinicians and their patients will ideally end up with an array of new weapons to combat both repeated injuries and their long-term sequelae. 1. Groner C. ACL injury and OA risk: surgery’s complicated rule. LER 2012;4(6):18-23. 2. Groner C. ACL injury and OA risk: surgery’s complicated rule. LER 2012;4(7):65-69. 3. Nakame A, Engebretsen L, Bahr R, et al. Natural history of bone bruises after acute knee injury: clinical outcome and histopathological findings. Knee Surg Sports Traumatol Arthrosc 2006;14(12):1252-1258. 4. Miller MD, Osborne JR, Gordon WT, et al. The natural history of bone bruises: a prospective study of magnetic resonance imaging detected trabecular micro fractures in patients with isolated medial collateral ligament injuries. Am J Sports Med 1998;26(1):15-19. 5. Boks SS, Vroegindeweij D, Koes BW, et al. MRI follow-up of posttraumatic bone bruises of the knee in general practice. Am J Roetgenol 2007;189(3):556-562. 6. Vellet AD, Marks PH, Fowler PJ, Munro TG. Occult posttraumatic osteochondral lesions of the knee. Prevalence, classification, and sort terms equally evaluated with MR imaging. Radiology 1991; 178(1):271-276. 7. Faber KJ, Dill JR, Amendola A, et al. Occult osteochondral lesions after anterior cruciate ligament rupture. Six-year magnetic resonance imaging follow-up study. Am J Sports Med 1999;27(4):489-494. 8. Oda H, Igarashi M, Sase H, et al. Bone bruise in magnetic resonance imaging strongly correlates with the production of joint effusion and with knee osteoarthritis. J Orthop Sci 2008;13(1):7-15. 9. Costa-Paz M, Muscolo DL, Averza M, et al. Magnetic resonance imaging follow-up study of bone bruises associated with anterior cruciate ligament ruptures. Arthroscopy 2001; 17(5):445-449. 10. Potter HG, Jain SK, Ma Y, et al. Cartilage injury after acute, isolated anterior cruciate ligament tear: immediate and longitudinal effect with clinical/MRI follow-up. Am J Sports Med 2012;40(2):276-285. 11. Fang C, Johnson D, Leslie MP, et al. Tissue distribution and measurement of cartilage oligomeric matrix protein in patients with magnetic resonance imaging-detect bone bruises after an acute anterior cruciate ligament tears. J Orthop Res 2001;19(4):634-641. 12. Johnson DL, Urban WP Jr, Caborn DN, et al. Articular cartilage changes seen with magnetic resonance imaging–detected bone bruises associated with acute anterior cruciate ligament rupture. Am J Sports Med 1998;26(3):409-414. 13. 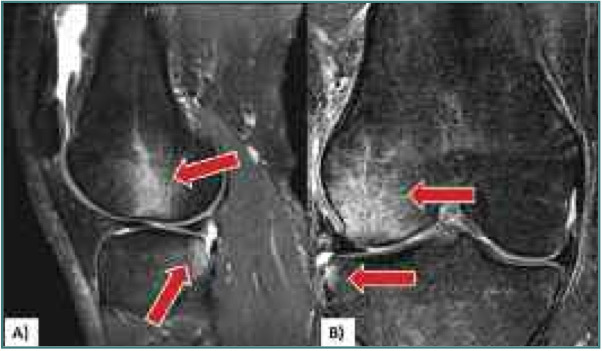 Tiderius CJ, Olsson LE, Nyquist F, Dahlberg L. Cartilage glycosaminoglycan loss in the acute phase after an anterior cruciate ligament injury: delayed gadolinium-enhanced magnetic resonance imaging of cartilage and synovial fluid analysis. Arthritis Rheum 2005;52(1):120-127. 14. Hoch J et al. A descriptive analysis of bone bruise presence and severity based on location for patients with acute knee injury. Presented at National Athletic Trainers Association Annual Meeting, St. Louis, June 2012. 15. Quatman CE, Kiapour A, Myer GD, et al. Cartilage pressure distributions provide a footprint to define female anterior cruciate ligament injury mechanisms. Am J Sports Med 2011;39(8):1706-1713. 16. Quatman CE, Quatman CC, Hewett TE. Prediction and prevention of musculoskeletal injury: a paradigm shift in methodology. Br J Sports Med 2009;43(14):1100-1107.